Is it just my imagination, or do some of the students look like they are nauseous? 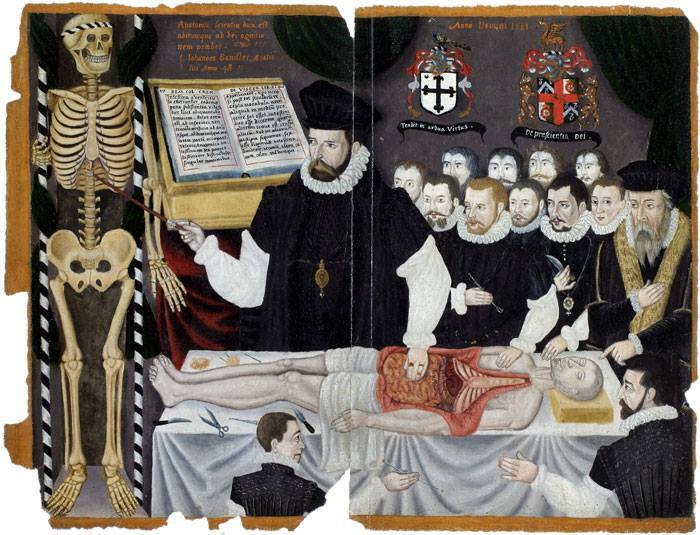 John Bannister, Lecture with Dissection , England, 16th century. Click to enlarge. This entry was posted in Art, English, Science on August 23, 2013 by Reinhard Kargl.